The Trinity Version of our Faith Collection Irish Wedding Bands. These high quality stunning Celtic rings are inscribed with the ancient Ogham script, the Celtic Alphabet, with the word FAITH. An ideal Irish ring for wedding, commitment or even friendship. Each Irish ring is comfort fit, ensuring a smooth feel when on your finger. The Celtic design detail is sharp and the design is available in a variety of metal types and color combinations. 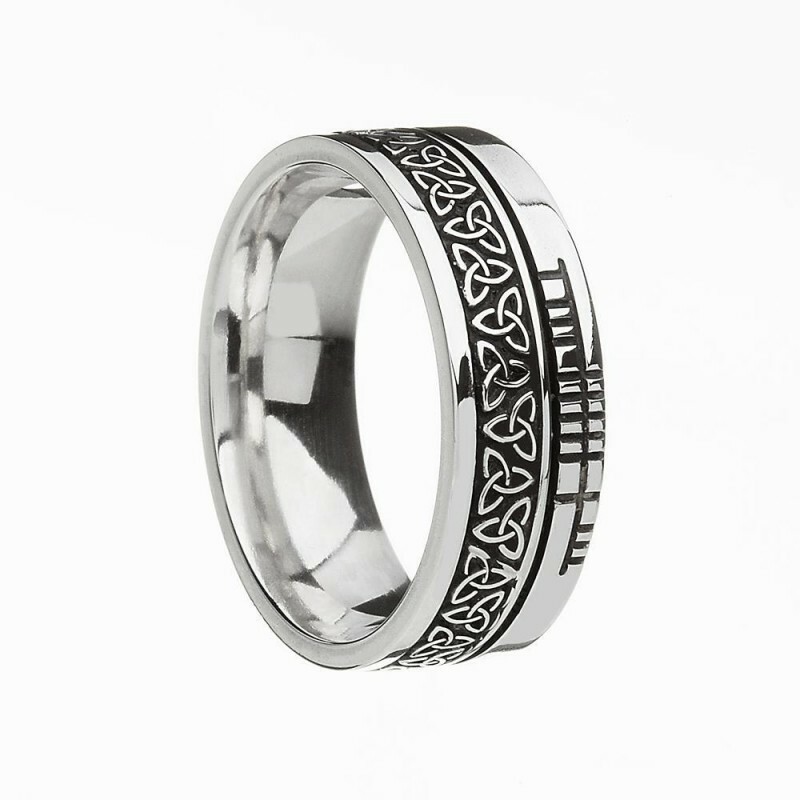 The Irish ring is a unisex design, with a standard florentine finish on all versions except the silver, which is antiqued. Designed by Boru for you to wear for a lifetime. Ogham script is an early form of old Irish, the first known Irish writing. The characters comprise of a series of lines and notches that are scored across a long stem line often on standing stones, or trees. In the majority of cases the inscription is read from the bottom up and usually names the person being commemorated along with their ancestors and the carver of the inscription.